Brexit: My country was taken from me. 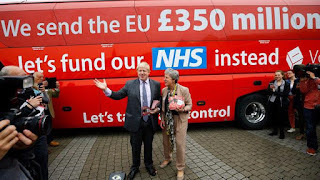 Last week, the British public voted to leave the European Union after a viciously fought campaign in which the leave campaign was led by Boris Johnson, a politician known for lying, and in which many unsubstantiated claims were made in order to gain popular support. What's more, one member of the campaign to remain in the EU, Jo Cox, was murdered by a supporter of far right organisations. 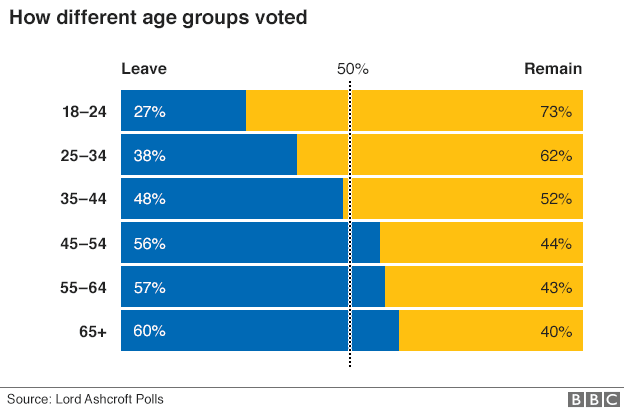 Younger people predominantly voted to remain while older people voted to leave. Older people's views turned out to have a greater importance because far more of them voted. 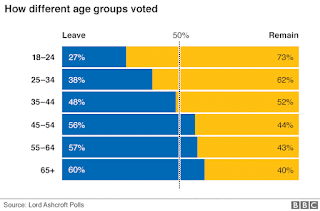 83% of over 65s voted vs. just 36% of 18-24s. People with higher academic qualifications mostly voted to remain in the EU while those with less education predominantly voted to leave. All university cities voted to remain. (e.g. Cambridge). Scottish and Northern Ireland voters quite clearly voted to remain in the EU, while English and Welsh voters overwhelmingly voted out. Who voted ? Did everyone have a similar opportunity ? The referendum took place as many youngsters were travelling to the Glastonbury festival. This will have made voting difficult for around 200000 mainly younger, mainly more globally minded people. The referendum took place during Ramadan - a period in which British Muslims may well find it more difficult to get to vote. certainly not. So much for democracy. Expats are a third demographic for whom the vote was particularly important but particularly difficult to achieve. Anyone who had been away from the UK for 15 years was completely excluded. For the others, the UK government website claimed it took but a few minutes to register but in reality it actually took us months and only some of us got to vote. Amongst other problems, we were sent incorrect forms (e.g. forms for a postal vote within the UK, not for someone living elsewhere) and we had to send copies of birth certificates to the UK and wait for replies. None of these things took just three minutes on a website. Even after jumping through a lot of hoops and doing the same thing four times to cover each member of our family, only two out of four of us (my wife and one daughter) initially received a postal vote form. The forms were badly designed - instructions didn't match the material provided (e.g. "make sure the address is visible through the envelope window" when there was no envelope window and provision of envelopes which were too small to accommodate the voting form unless it was folded in half). My vote, the third and last out of four to turn up arrived only two days before the election. Each of our voting forms was sent back immediately. Were they counted ? There's no way to know. However it's unlikely that my vote was counted because while I sent it back by the fastest normal postal service, that service takes between 2-4 working days to reach the UK so the form almost certainly arrived after the votes were counted. I could have used an overnight delivery service to ensure that my vote arrived in time, but that would have cost over €40. So much for voting being freely available to all citizens. One of our daughters never received a voting form so was entirely excluded from the democratic process. We were actually quite lucky in that two out of four of us got to vote. Many expats found it impossible as they never received their voting forms. Nigel Farage disgracefully claimed that no bullets had been fired to achieve an exit, when in fact Jo Cox had been shot and killed a few days earlier. Official proceedings to leave the EU under Article 50 did not begin and David Cameron suggested someone else should do this months later. The stockmarket and UK pound crashed in value, costing the country hundreds of billions of pounds. Leave campaign leaders proved not to have any plan at all about what they wanted to do next. 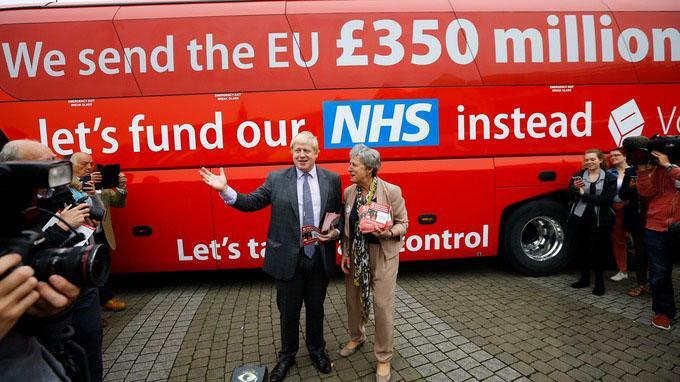 Leave campaign leaders began to backtrack on promises they made (e.g. on the NHS). Areas of the UK which voted out of the EU after being on the receiving end of huge EU subsidies for years are now asking for confirmation that the subsidies will continue. Some people who voted to leave the EU almost immediately expressed regrets and seemed surprised that their vote helped this to happen. Instances of racist abuse on the streets of the UK rose to levels not seen previously. Scottish leaders began to call for another referendum in which Scotland would attempt to leave the UK in order to remain with the EU, aligning themselves with their own citizens. There was a proposal for Northern Ireland to link itself to Ireland in order to remain within the EU, and there has been a rush on Irish passport applications by Northern Ireland residents with Irish ancestory. There is a call for a second referendum which could overturn the first result, which amusingly began with a leave campaigner who wanted a second referendum should the UK have voted to remain. Scotland threatened to veto the UK's exit from the EU. The EU announced that the UK doesn't need to send a letter before the EU can start the process of the UK leaving the union, bringing the UK's exit forward to the closest date possible. 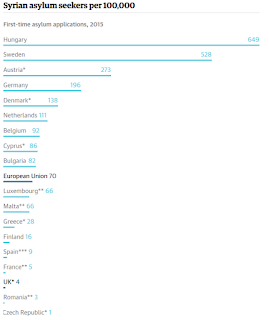 Can the UK continue in the EU ? Whose decision is that ? The question of whether the referendum result can be overruled is being discussed in the UK as if it affects only British people who are resident in the UK. Actually, this question affects far more people than just the British. Given the harm already done it will be difficult to turn the clock back. The UK has announced very loudly its intention to leave the EU and this has done a considerable amount of harm both financially and to the reputation of the UK. For instance, not only the UK stockmarket and the British pound lost value, but also the Euro and European stockmarkets dropped in value and this cost other EU members billions of Euros. Other EU member states quite reasonably want to put a line under the harm which has already been done. They do not want to waste time waiting for Britain to make up its mind while more harm is caused. is that the country is "swamped" by asylum seekers. every one homed by the UK. Say sorry for the many lies made up and repeated often by the UK press. These included claims about the EU being responsible for flooding in the UK. The real reason was the subject of a previous blog post. Say sorry for appointing Nigel Farage to the EU parliament where he used his position to make personal insults towards other officials. Say sorry for stirring up hatred amongst English football hooligans whose recent upsurge is linked to brexit. Say sorry for the Britain first exceptionality which has resulted in repeatedly calling for special conditions within the EU for the UK. 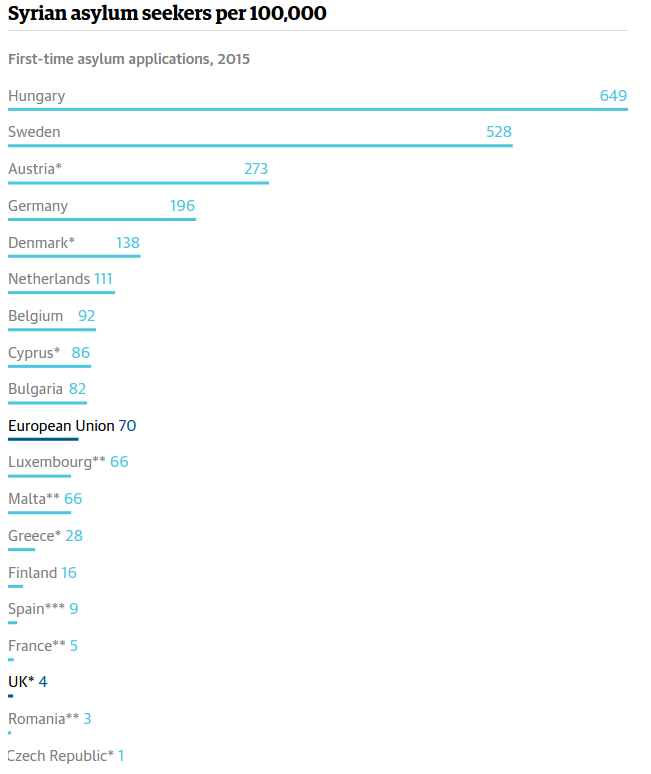 Say sorry for the racist policies whereby the UK refuses to take a fair share of the burden which the whole of the EU has had to take due to the recent influx of refugees, many of whom no longer have a home because of wars which the UK helped to create. Say sorry for damaging everyone's livelihood by creating a drama which took hundreds of millions of Euros off the value of shares, people's pensions etc. Perhaps after those and other apologies have been given it just might be possible for Britain to be re-admitted to the EU. If the UK is re-admitted that should happen on the same basis as other new members, rather than with the UK being given exceptional treatment as in the past. "I want my country back"
The brexiters in the UK and the racists who agree with them claim that they have "got their country back". Unfortunately, in taking "their" country back, they have taken mine away from me. I would like to see the return of the UK which was once part of the EU. I want back the country whose citizens had freedom to travel, which had a stable economy, where most people were tolerant of other nationalities, which grew socially and economically due to immigration from around the world. I want back the country which existed before narrow minded idiots in the UK voted against not only their own but more importantly against their children's and grandchildren's best interests. I want to be a member of the EU which has been a force for good. The EU has brought an unprecedented period of peace in Western Europe, freedom of travel and human rights for all. This is not something that rational people wish to escape from yet those who voted for Britain to leave the EU voted against these ideals. We have a right to remain in the Netherlands for one reason: While the UK is a member of the EU we are EU citizens and therefore have a right to freedom of movement. As a result, we have been able to relocate to the most beautiful province of the Netherlands, and from here we have promoted the best of Dutch transport policy to other countries including the UK and run a business exporting bicycle components. From these activities we've derived our income and paid our fair share of taxes to the Dutch government. In return, our children have a right to good quality education at a very low cost to us because we are EU citizens (Dutch universities are also popular with students from outside the EU who have to pay around €11000 per year for tuition). Being a UK citizen, with the UK as a part of the EU, has made our life possible. Without the EU we would probably never have been able to do this, but we have benefited and the Netherlands, the EU and also the UK have benefited as well. When the UK ceases to be a member of the EU our current right to be here disappears. It may be replaced with some other right, but that's at the grace of the Dutch, the Dutch government and the EU. The UK will no longer be doing anything to help us. Part of our citizenship of that country has been taken from us. Disappointingly this is not just an abstract thing due to strangers, but is actually in part the result of members of our own families voting against our best interest, as well as their own. We've lived in the Netherlands for the best part of a decade and we feel quite Dutch now. For some years we've discussed the possibility of becoming Dutch citizens but in the past this has been quite an abstract conversation: our status as UK EU citizens meant that the benefits of changing nationality never seemed large enough as to make us seriously want to take this step. The events of the last few days in the UK have unfortunately made a mockery of our British citizenship. The Netherlands is a great country to live in, it's a relatively tolerant nation, it's where we've made our lives and it's where we want to continue to live, to work, pay our taxes and take part in society. As such, we plan to be first in the queue tomorrow morning when the town hall opens so that we can try to become Dutch. I had a meeting on Monday with my bank. We are seeking a small business loan to expand. It's very easy to justify on the grounds of our capital, income etc. As expected, the meeting went well and everything seemed a certainly, but then the subject turn to nationality. I have a right to be here at present only because I'm a British and therefore also an EU citizen. Due to brexit this right could be taken away and therefore the bank will not lend us a penny until the right to remain can be resolved. Far from the BBC's claim that nothing has changed, British citizenship already has far less value now than it did last week. The process of trying to become Dutch has continued. It has cost us thousands of euros so far for our children to try to become Dutch. I took five Dutch exams in one day a few weeks back. I have results for three exams which I passed and I'm awaiting the results of the other two. If I've passed than this opens the opportunity to spend a further thousand Euros in order that my wife and I can also attempt to become Dutch. We still have months to wait. Meanwhile, the news from the UK continues to get worse. There have been many terrible stories about people being attacked on the streets merely for being "foreign", and of course the British government continues to fumble everything and the people who "won" continue to behave more and more eratically. UKIP's only MP has taken to arguing with scientists about what causes tides. Then there's my pension. I never had a very large amount invested in a pension, but this news is all bad. In the immediate aftermath of the brexit vote I watched the value of my pension drop nearly 20% due to the devaluation of the pounds immediately after the brexit result. The fund itself has since dropped by approximately 6% more. I'd been looking into shifting my pension elsewhere. More specifically I wanted to move it out of the UK and into the Eurozone. However, it's now too late for that: I received a letter today from the company which holds the majority of my pension funds telling me of a "deferral". My pension assets have been frozen for between 28 days and six months, during which time I will be able to do nothing to prevent further degradation of the fund, and therefore further degradation of my standard of living when I'm older and might have thought I could have retired. The UK is expected to activate article 50 during the six month period that my pension is frozen, maximising my loss. Thanks, brexiteers ! Not only have you taken my country from me and screwed up our plans to grow our business, you've also taken my pension. Read an update on the pension situation from May 2018. Sadly, it's not looking like it will work out well. By the end of last week I'd received the results for all five exams which I took at the beginning of September. Unfortunately, I've just been told that this isn't enough at all. There's a sixth exam, "Orientation in the Dutch labour market" which I was not told about when booking the other exams online but which I've just been told about in email. This exam can only be applied for with a written application form. The exam which I've not taken requires a lot of work. I need to build up a portfolio showing that I've been applying for jobs. I've of course not been applying for jobs because I already have a job. We've run our own business in the Netherlands for nine years. It keeps us, we pay taxes. We're not unemployed and that's why we're not seeking work. But to become a Dutch citizen it seems I have to pretend to be unemployed and seeking work. What nonsense is this ? It's already taken three months since Brexit to take and get results for what appears now to have been the five easy exams. During this time, no-one though to suggest to me that I needed to take a sixth exam, for which I needed a portfolio which I could have been building up for the last three months. Now I have to start again and there's an even greater chance than before that I will not be able to get all the paperwork together in time for the brexit at the end of March. What happens after that point ? No-one knows. It may be that everything I've done so far won't help me at all after March. poverty and social inequality. British people dislike foreigners. them. This reflects badly on all British people including us. Today we "celebrate" six months since waking to hear the bad news of the brexit vote. In Britain it appears that politicians of all colours have completely given up any sense that they ought to provide opposition. No-one is doing a good job of representing the 48% who voted to remain in the EU. No-one is making any effort at all to protect the rights of British people living in the EU. The British government has again raised the idea that we are can be used as "bargaining chips" when they wish to impose worse conditions on EU citizens still living in the UK after the brexit. For us there has still been absolutely no progress at all towards getting Dutch citizenship. Our childrens' applications went in almost six months ago and they've heard nothing at all. Our applications are still waiting because I'm still waiting for a response. My portfolio of job applications was complete months ago, I paid the fee for this to be considered, and since then I've heard absolutely nothing. At some point I hope to invited for an interview after which time I'll then be able to wait longer to find out whether I can apply for Dutch citizenship or whether I will have to go through this whole rigmarole another time. The chance of securing our futures as Dutch citizens by the time that the UK leaves the EU is slipping away. We lost our country six months ago, and we are now effectively stateless. Our lives are here, but we face a future in which we have no right to remain where we live, where we work and run our business. The future is dark. Oh, and then there's Trump. Americans! What were you thinking ? It took a while before I got my slot for the Oriëntatie op de Nederlandse Arbeidsmarkt exam, but I went to Zwolle again on the 15th of March for this exam and received my pass mark quite quickly afterwards. After I pick up the certificate I'll at last be able to begin the process of naturalisation as a Dutch citizen. The most interesting result was actually that of GroenLinks, whose support grew by a factor of 4 times. This is extremely positive news. Young and well educated voters proved to be particularly interested in supporting a political party which is both progressive and will protect the environment. But now we have to wait to find out exactly what form the leading coalition will take.